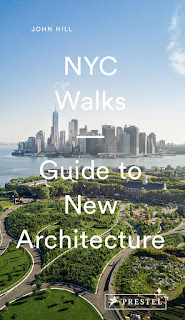 Whatever it may be called – land art, earth art, environmental art – think of the large-scale artworks of the American West and most likely a trio comes to mind: Robert Smithson's Spiral Jetty in Utah, Michael Heizer's Double Negative in Nevada, and Walter De Maria's Lighting Field in New Mexico. Smithson, Heizer and De Maria, as well as Nancy Holt, James Turrell and Charles Ross, among other artists, would appear to be the heroes of the land art movement in the 1970s, but in Troublemakers, the second documentary from James Crump (it opens Friday at the IFC Center), the hero of the story is Virginia Dwan, a gallerist and art collector who enabled some earth artworks to be realized and introduced their creators to a wider audience through her New York gallery. 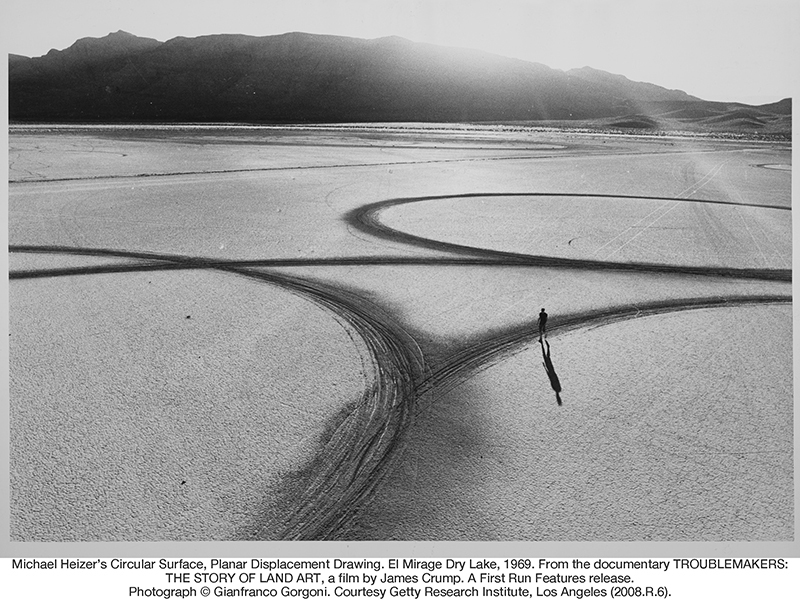 In Crump's hands the story of land art starts in New York, in places like Max's Kansas City and the Dwan Gallery, where Smithson, Heizer and other artists talked, drank and obtained Dwan's resources for art that would explode outside of the gallery's – any gallery's – walls. Land art would eventually become as much about the American West as minimalist expression on a large scale, but early efforts started closer to home, such as Smithson's explorations in New Jersey in the 1960s. At the end of the decade Dwan held the "Earth Works" exhibition at her gallery, which included De Maria, Heizer, Smithson and other artists associated with the movement; it ushered in land art to a wider audience, much wider than the people who have been able to visit Spiral Jetty, Double Negative and Lighting Field in the decades since. This isn't too say that Dwan is solely attributable to the flowering of land art in both New York's cultural scene and on the ground in the American West, but she is one of the revelations in the film. I've colored myself a fan of land art, even though I've yet to experience anything falling into that category. But I was not aware of Dwan's role (I knew of the Dia Art Foundation's tenure of Lighting Field and other earthworks, but they are oddly omitted from the film) nor of Willoughby Sharp's "Earth Art" exhibition at Cornell University in early 1969, his short-lived Avalanche magazine, which was a platform for artists of various ilks at the time, and the "When Attitudes Become Form" exhibition at Kunsthalle Bern in 1969. 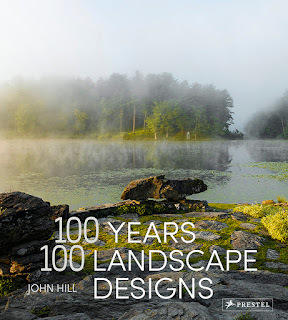 The Dwan, Cornell and Bern exhibitions take on prominence in Crump's story, which reflects the (ongoing) importance of galleries in the art world – even as the artists were venturing as far from their walls as possible – and the synergy of the land art movement at the time. Made up of an abundance of archive material and interviews with artists (e.g. 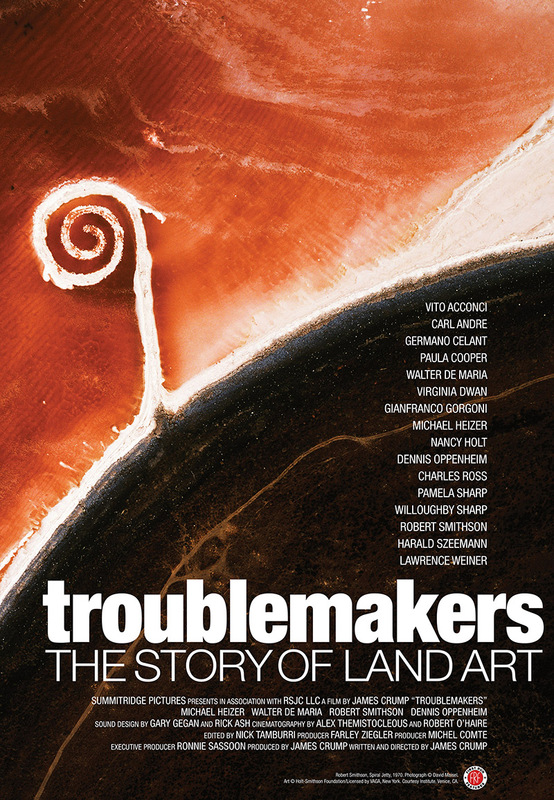 Vito Acconci, Carl Andre, Lawrence Weiner) and curators (Dwan, Germano Celant and Paula Cooper), Troublemakers is a revealing history of land art. Clearly the film is more concerned with the who, when, how and why of things than the what, since most of the footage is dialogue about the artists, exhibitions and the creation of the artworks, with very little about the works themselves included. There is some footage from Smithson's film on Spiral Jetty (to him art was a multidimensional thing, consisting of the work itself but also its documentation through various media), as well as a film on Holt's Sun Tunnels (no surprise, considering the two were married), but new footage of the artworks is minimal. Some drone footage of Michael Heizer's Double Negative (my favorite of the land-art trio) is included, which is commendable but raises the question of why it wasn't included for every other extant piece discussed in the film. Yet the biggest deficiency of the film is its narrow focus, which is squarely on Smithson, Heizer, Holt and Dwan. Charles Ross's monumental Star Axis is considered only in a brief anecdote by the artist, while James Turrell's even larger Roden Crater isn't mentioned at all; even Michael Heizer's huge City complex nearing completion in Nevada is shown in a photo but never discussed. There is much more to the story of land art than what is presented in Troublemaker's scant 72 minutes, but including (more of) Ross, Turrell and other artists carrying on the tradition of land art today would have complicated matters, making the movement living instead of historical. Troublemakers, then, is an origin story that does a good job of explaining how it came about, though it leaves it up to the viewer to figure out why it continues to enthrall. 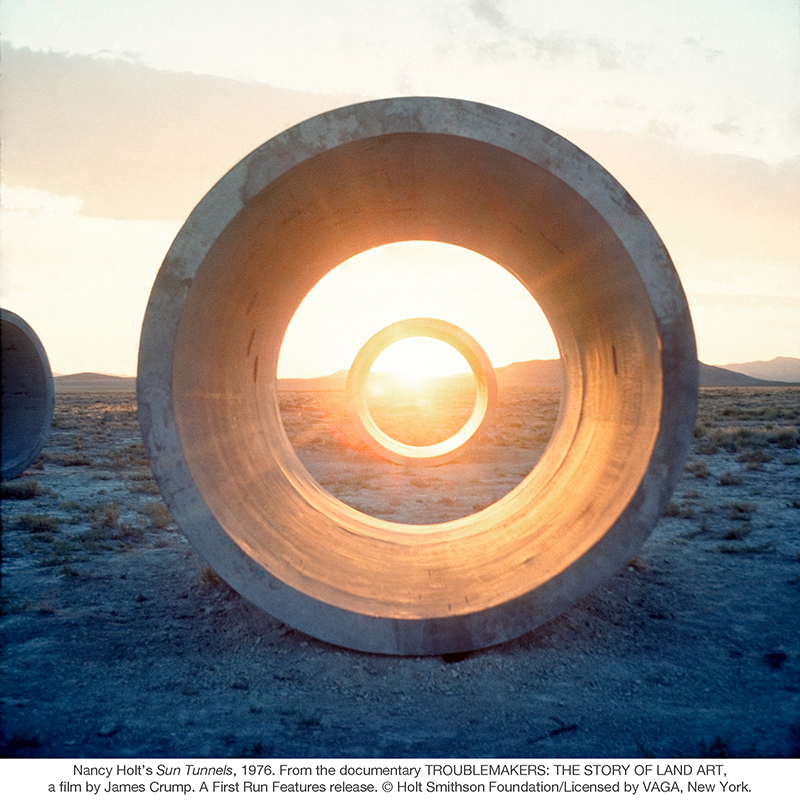 Troublemakers: The Story of Land Art opens at the IFC Center in New York on Friday, January 8, 2016.